Govt. 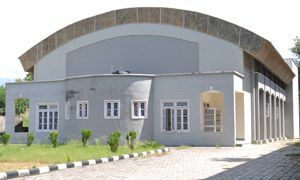 Degree College (Boys) Udhampur was set up in 1961 as a three year degree course in Science & Arts with a pre – university class, The majestic campus of this decades' old college is situated in the outskirts of Udhampur town on a hillock overlooking the Devika, the sacred Ganges of Jammu region. Since its inception the college has achieved major landmarks, and is at present one of the leading institutions of higher learning in the State of Jammu and Kashmir. At present, the College provides instruction in the disciplines of Arts, Commerce, Science (Medical and Non-medical), BCA and BBA. We also offer two PG Courses i.e. PG English & PG Hindi. 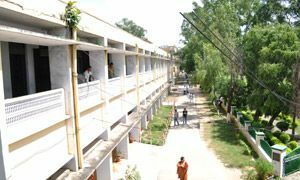 The College has a highly qualified and experienced staff, well-equipped laboratories, rich library, play-fields, Boys' hostel, Multi-purpose hall and other infrastructural facilities. Govt. Degree College (Boys) Udhampur envisions to commit itself as a dynamic Institution of Higher learning for the intellectual enrichment of minds to produce valuable and harmonious human resource suitable to serve the community.